Mercury’s extensive range of performance parts includes complete bolt on performance systems, electronic throttle controllers, extractors, dump pipes, hi-flow catalytic converters and sports mufflers through to stainless or chrome tips for the finishing touch. All our systems are mandrel bent to maintain a constant pipe diameter to maximise gas flow. Our sports mufflers are free-flowing, straight-through designs and fibre glass packed to give maximum performance and the awesome sound you’re looking for. Our 4×4 Turbo diesel performance range comes in either Stainless Steel or Aluminised steel. All these systems include a large diameter dump pipe. 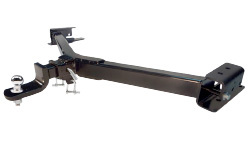 We stock an extensive range of performance systems to suit both cars and 4WD’s. So we can better assist in your inquiry, please include the following details. Sports or standard exhaust system. make, model & year of your vehicle. Your preferred Suburb & City (so we can direct you to your local stockist) . We will forward your inquiry to your closest stockist. 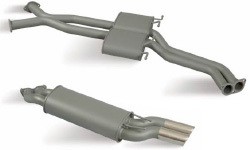 Mercury Mufflers the trusted name in Mufflers, Exhausts and Accessories for over 65 years. © doBusiness. All rights reserved. 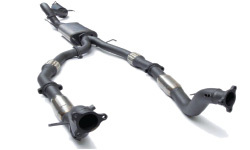 Master of Sound Automotive Exhaust System Manufacturers Mercury has been designing, manufacturing and distributing exhaust systems and accessories to the automotive industry in excess of 65 years. 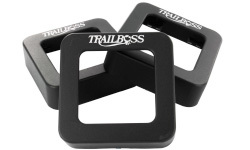 The manufacturing plant, which includes a tooling and development division, is well equipped with modern machinery and manufacturing techniques to ensure the finished products meet the high standard demanded by today's market. The distribution warehouses offer a very extensive range of exhaust and under car parts enabling the exhaust specialist or under car repairer the opportunity to source at just one location. In addition Mercury are repetition manufacturers and engineers offering a variety of services to the metal industry. We are Suppliers to Trade Only. For trade services we have distribution warehouses that carry a comprehensive stock of exhaust components covering the entire needs of the replacement parts industry.